According to surveys published by international energy agencies, global energy consumption is expected to grow steadily and continuously, at a rate of 1.5-2 % p/a. This will translate into a material increase in fossil fuel consumption, with the ensuing impact on the world's economies, and on climate change. The Project is based on the role of hydrogen as an energy vector and on its sustainable development. 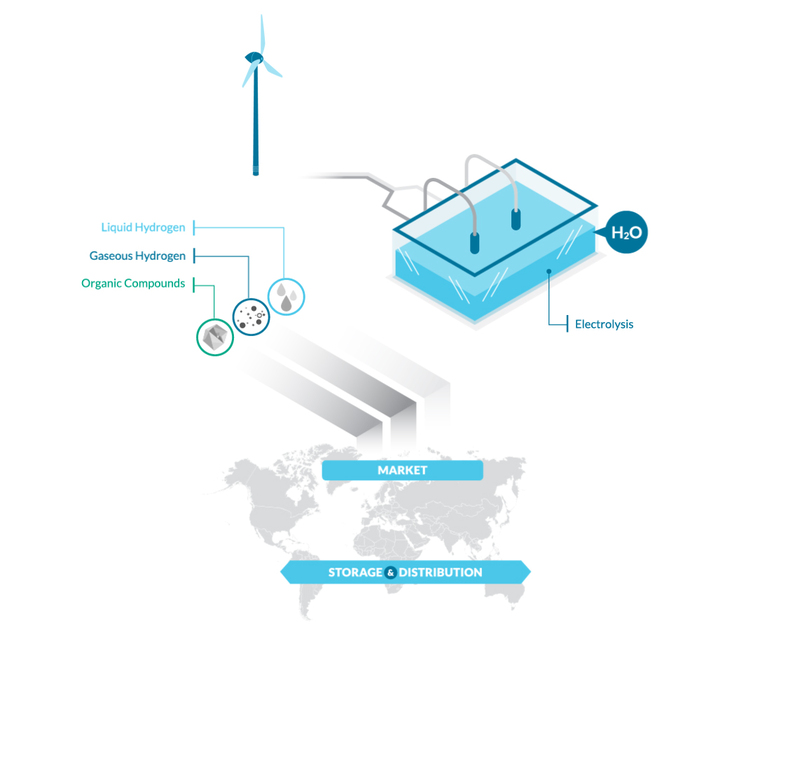 In order to materialize its vision, Hychico needs to develop the experience required to operate and maintain wind parks and hydrogen production plants using water electrolysis and renewable energy sources. To this end, we are developing strategic alliances with leading equipment and technology suppliers. Any renewable energy source like wind, sun, water, or geothermal energy may be used to generate electricity and, with it, produce hydrogen via water electrolysis. This electrochemical reaction results in the splitting of water molecules into hydrogen and oxygen. © Copyright Hychico S.A. 2018. All rights reserved.